Focus on developing people—not just improving test scores. The authors examine how staffing decisions can strengthen professional learning communities and explore actions that can help school leaders safeguard their schools against complacency. Collect tips and strategies that every leader can adopt, and apply the professional development techniques that prove most useful. Develop hiring and support practices that can change staff turnover into an opportunity to strengthen your PLC. Create meaningful learning teams for all staff—even specialists and singletons in small schools. 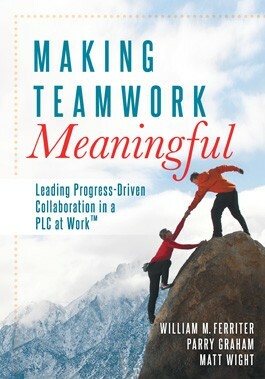 Gain skills critical for teachers to work effectively in collaborative groups. Get the right people in the right places when staffing and creating teams. Align the master schedule with PLC priorities. Build an effective intervention system. How Healthy Is Your Learning Team? Is This Candidate a Good PLC Fit? Building Interdisciplinary Teams: Who Would You Work With? What Are Our Scheduling Priorities?